Combining camping under canvas with upmarket, boutique hotel-style luxuries, Glampotel is one of the UK's leading glamping brands. Combining the best of camping under canvas with upmarket, boutique hotel-style luxuries, Glampotel is one of the UK's leading glamping brands. As the name suggests, Glampotel aim to provide glamping of a hotel standard, while offering their guests the chance to enjoy the great outdoors. 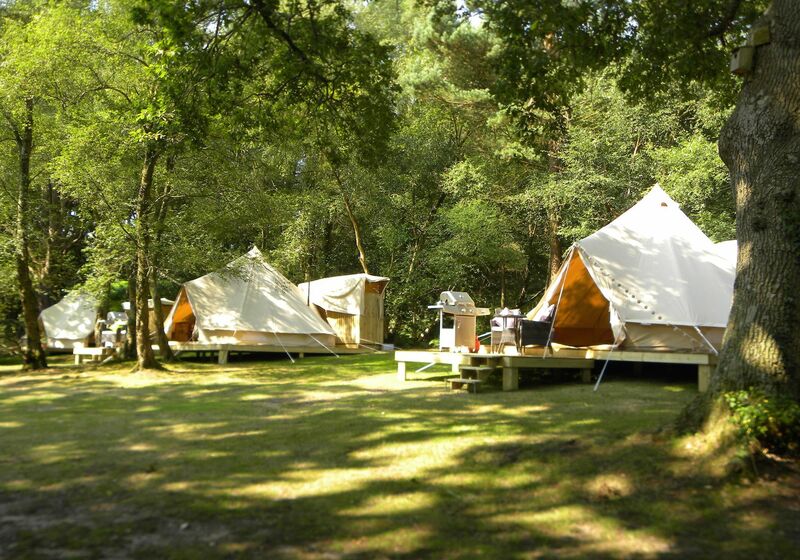 Each Glampotel location is independently run – some in their own private meadow on an existing campsite, others in the grounds of countryside B&Bs or in the gardens of a farmhouse – but all have the same high-quality bell tents and canvas lodgings, with king-sized beds, private shower rooms and gas BBQs for whipping up an evening meal. Environmentally aware and focused on minimising their ecological impact, Glampotel are also considered to be one of the leading eco-tourism glamping brands in the UK. Browse all of the Glampotel locations below and book instantly on the Cool Camping website today. Glampotel, glamping, hotel, glampotel, glamphotel, glamp hotel, glamp otel at Glampotel, Glampotel: Discover Glampotel glamping across the UK – read reviews, check availability and book your Glampotel break at the best price.